Precision Glass & Optics, global experts in optical manufacturing, customized optical solutions, and precision thin film coatings, announces a line of precision optical thin film coatings for industrial applications. 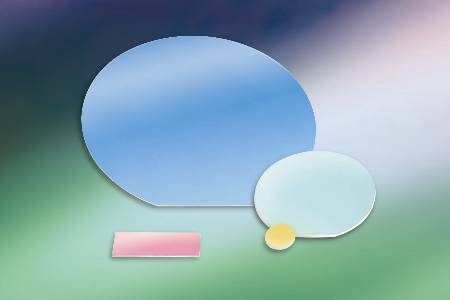 The company, well-known for its large in-house glass substrates and optical assemblies, introduces a full line of cost-effective thin film filters with anti-reflective, heat resistant, dielectric, and infrared and visual transmission qualities. The new optical coatings are ideal for use in imaging, display, projection, scanning, defense, biomedical, aerospace, and other instrumentation. PG&O’s off-the-shelf thin films include ultraviolet (UV), infrared (IR), anti-reflective (AR), BBAR, cold mirror plate, hot mirrors, aluminized mirror, plate beamsplitters, indium tin oxide (ITO), maximum reflectors (Max Rs), and more. Also available are highly precise optical coatings that can be designed and specified (up to 24 inches diameter) to meet exact wavelength and/or angle requirements for custom applications. PG&O has delivered high quality, precision glass, optics, and optical coatings for a variety of applications for over 25 years. The company has an extremely large inventory of glass products and a full optical fabrication shop to provide advanced optical coatings and manufacturing large mirror blanks. Other services include CNC machining, polishing, slicing, sawing, scribing, grinding, edging, assembly, and more. With three large coating chambers, and an expert, in-house engineering staff, our cost-effective and reliable optics and advanced thin film coatings are ideal for military, aerospace, biomedical, imaging, laser, digital cinema, solar markets, and more. For more information, visit www.pgo.com.